The Return of Our Rusted Metal Column: A Look at Venom's 'Black Metal'! The debate among metal historians seemingly never ends on what type of band Venom really is. Some say it's extreme to the point of defining black metal's rigid boundaries while others refer to them as thrash. Loosely, the Newcastle, England act are lumped into the NWOBHM scene that sprouted in 1978. That's fitting considering geographical location and the band's formation in 1979 (originally called Guillotine). Regardless of genre label, none can refute the band's place in the building of the heavy metal machine. Imagery, lyrics, and energy were catalysts in an attempt to move Venom from pub to hub. 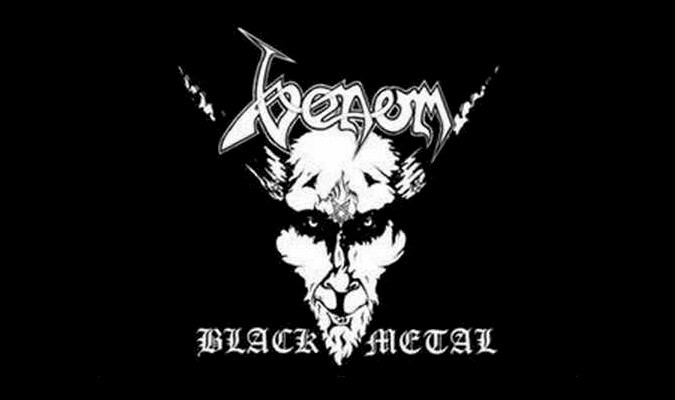 While Venom never sold well, their influence on aggressive metal, notably the development of thrash, death, and black metal is hard to deny. 'Black Metal' is considered an early proto-type of extreme metal. It's frantic energy, over the top lyrical imagery and dark presence is easily seen years later in genres like thrash, black, and death. The album is 35 years old at this point and still maintains a following through collectors, fans and artists that continue to cover and cite the album's songs and global impact on heavy music. Being a late bloomer of heavy metal in the early 90s, it took me a while to find the Venom catalog. That metal-on-metal grinding sound as "Black Metal" opens the record is a fitting introduction to such an abrasive opus. Easily one of my favorite albums of all time.